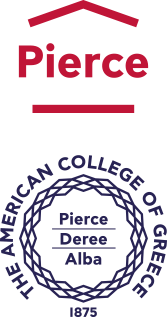 A key benefit of your Deree education is personal academic advising from a professional advisor or faculty member. As a new student, an academic advisor will discuss with you your academic goals and interests to design a multi-semester course of study. Your academic advisor will assist you in planning and implementing academic programs, decision-making, exploration, implementation, and evaluation of academic, personal, and career-related matters. Each semester you will meet with your advisor to review your academic progress and select appropriate courses for the coming session and/or semester. continue to support the development and implementation of the College’s orientation program. New students meet with an academic advisor as soon as they send their tuition deposit and have an English assessment on file. Typically, a student from a non-English-speaking country may submit a TOEFL score or other standardized test. For students without a standardized test, Deree will schedule an English Placement Test. The academic advisor will work with the new student to select the first semester of courses. Once the courses are selected, the student can officially register for classes. Continuing students with less than 51 credits are required to visit (are welcome to visit) with their academic advisor prior to registration and whenever they are in need of assistance or advice. Once the student earns 51 or more credit hours, he or she will be assigned to a faculty advisor in their chosen academic department. Continuing students in good standing can register online using Deree’s online registration portal. Students on warning and those participating in the Optimal Match Program need to register in person with their academic advisor. Advisors are partners in the course selection process. Advisors never make decisions for the students. Their overriding objective is to aid students in developing the maturity required to make their own choices and be responsible for those choices once made. For further information, Deree students are welcome to contact the Academic Advising Office.